This is a great recipe for a mise en place type menu, & the attention is in the detail. 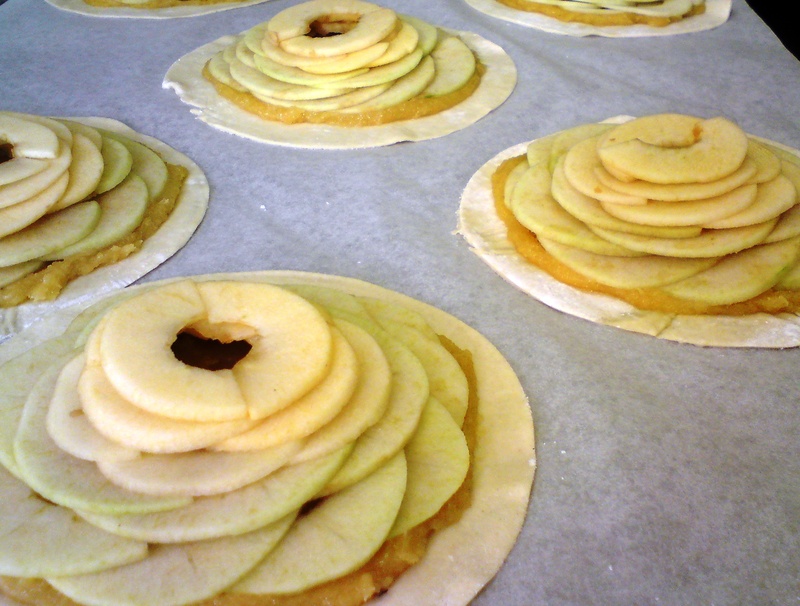 These tarts are cooked from frozen in about 9 minutes in an oven at 210 degrees C.
Frangipane, puff pastry, icing sugar & 6 Granny Smith apples. In a food processor cream the butter & sugar until pale, then gradually add the eggs one at a time until fully incorporated. Then slowly fold in the ground almonds & flour. Roll the puff pastry as thin as possible ( as you can see from the pictures, it is very thin to reduce cooking time), using icing sugar instead of flour to prevent sticking. Dock with a fork randomly. 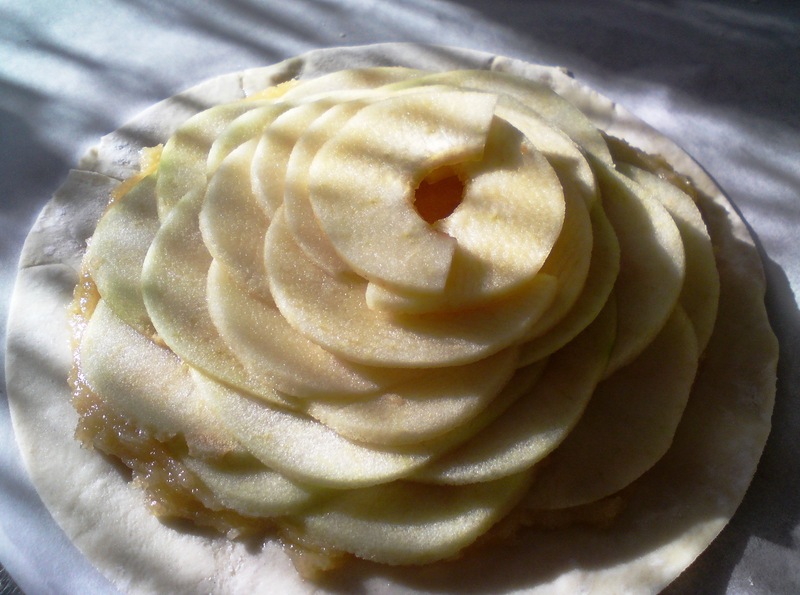 Smear quite liberally with the soft frangipane, leaving a 1-2cm gap from the edge. 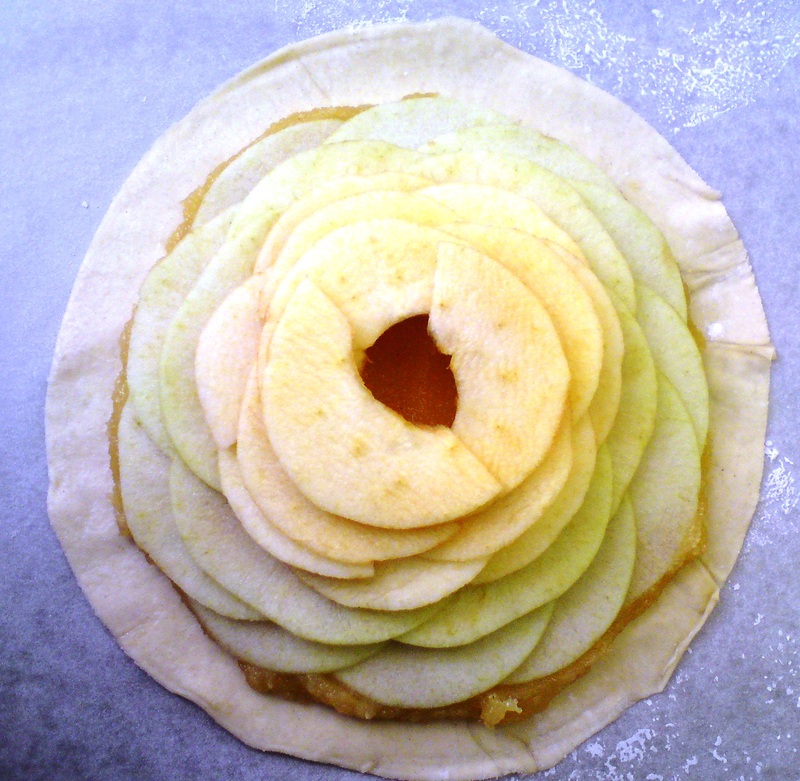 Next lay on the prepared apple slice (which have been cored & peeled), starting from the outside working in. When the tarts are complete freeze. To cook to order, preheat oven to 210c with a metal tray in the oven. When to required temperature place the frozen tart on greaseproof paper and place directly onto the hot tray. This will help with the cooking time but also help caramelise the pastry base. 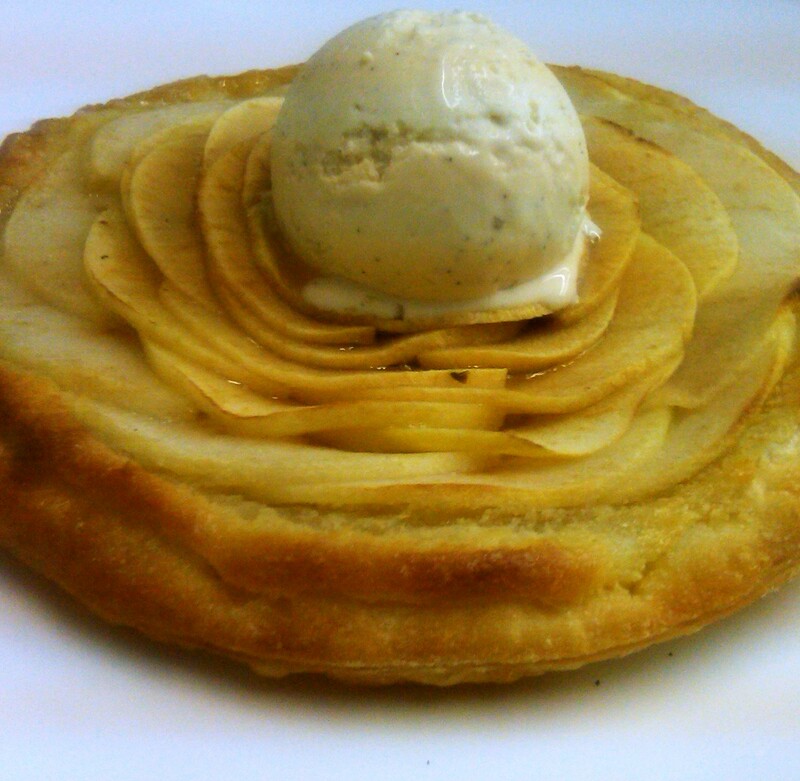 Bake for 9mins & serve with vanilla ice cream.